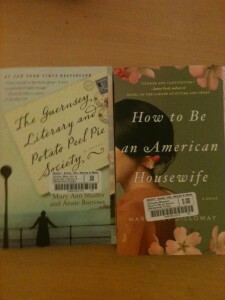 Afterwards, Steven suggested going to a used bookstore in the area, Book Attic, instead of McKays. “We can go to McKays on the way home from church tomorrow,” he said. I really wanted to go to McKays, but recognizing the beauty of compromise in a marriage, I said okay. Book Attic was closed. “Do you want to go to World Market?” Steven asked. What? World Market is not a bookstore, I thought. My positive compromising attitude was turning sour. “Whatever you want to do,” I said. We walked around World Market. Okay, Steven walked around World Market. 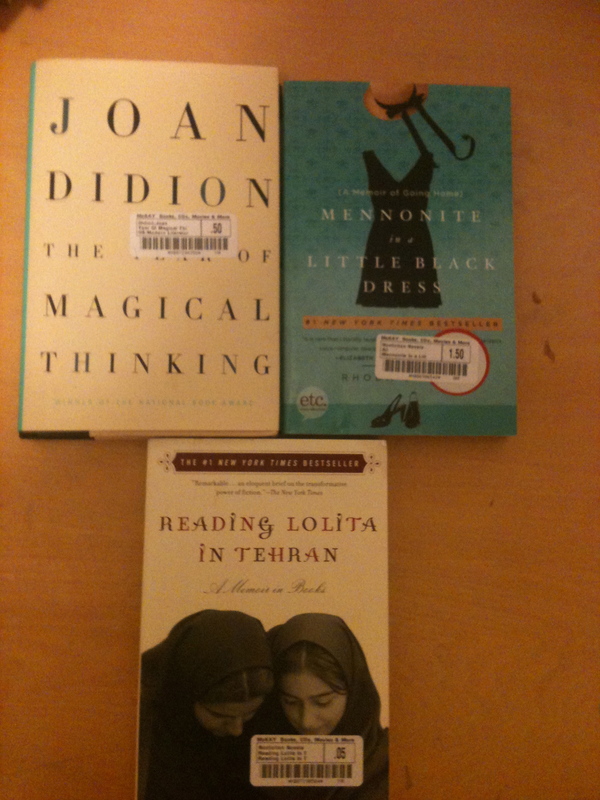 I sulked around World Market. When we left, I think I gave him a bit of a growl. 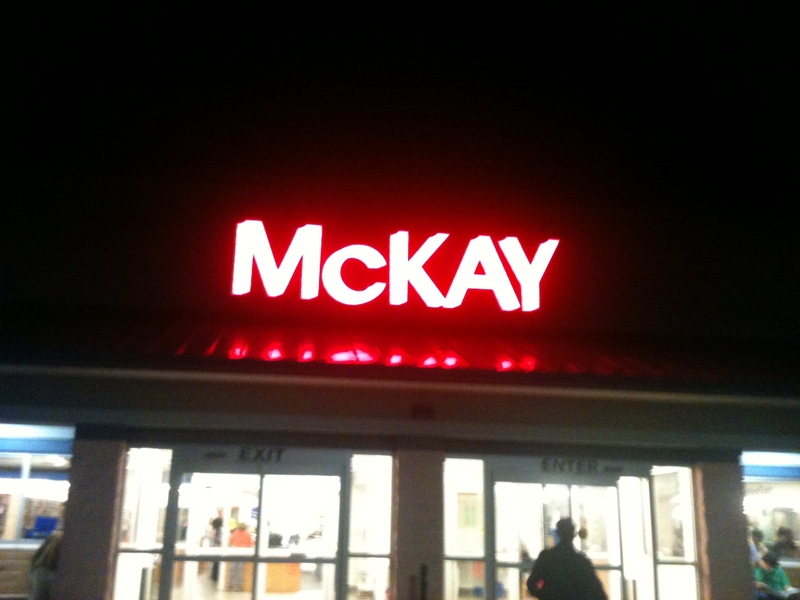 “I really wanted to go to McKays,” I complained. “Do you want to go to Barnes and Noble so you can at least have gone to a bookstore?” Steven asked. “Whatever!” I grouched. We went to Barnes and Noble. 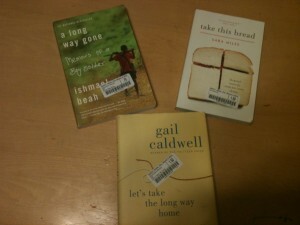 I saw lots of beautiful books that I wanted. But I didn’t buy one. 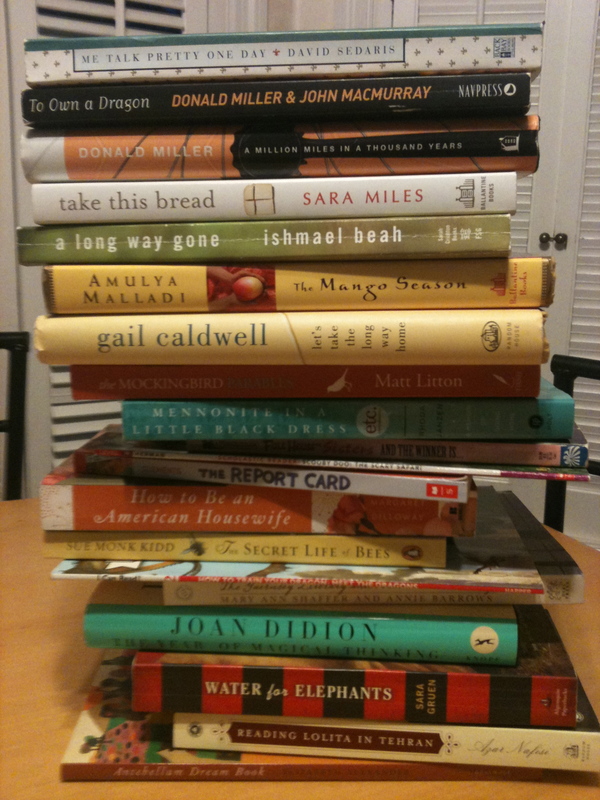 Being around books appeased me, though, and I was much less grumpy by the time we got home. On Saturday, we had to take the communion bread we’d I’d made to church, so Vespers was the first part of our date. Then we grabbed take-out from Qdoba and set off for McKays. Finally! The bookworm was going to be happy! We made it! That’s Steven walking in with a tub full of books we took in. We got a $25 credit! 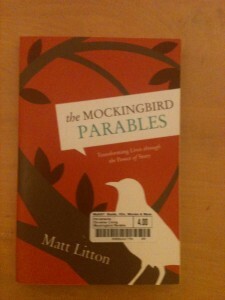 Books I’ve read before, but wanted to own a copy of. The Secret Life of Bees is one of my favorites! 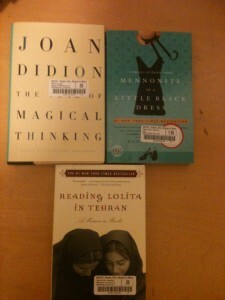 Novels I’d heard of, but hadn’t read. I just saw the American Housewife one at B & N for $15 and got it at McKay for $5. Memoirs I’d heard of, but not read before. One of these was 5 cents! Novel that caught my eye – I like multicultural stuff. 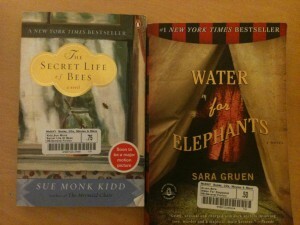 Memoirs that caught my eye. The yellow one is a Pulitzer winner! 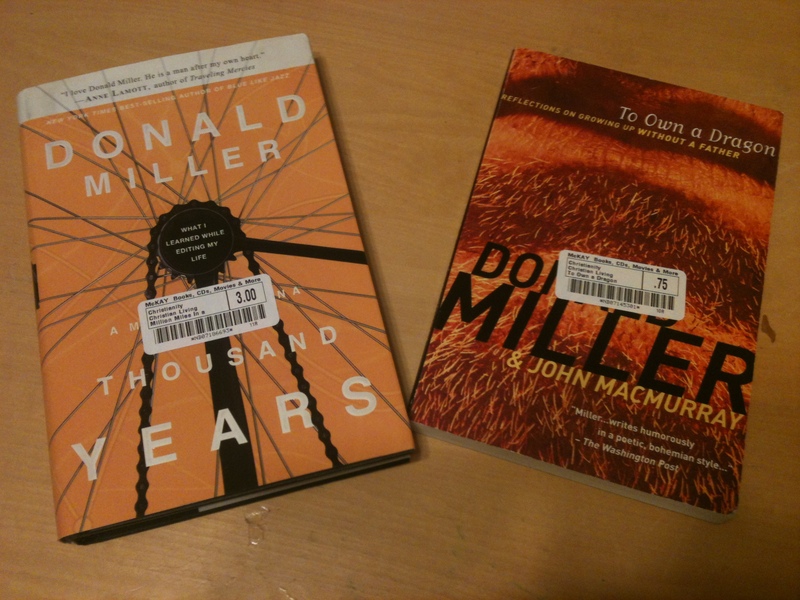 Books by Donald Miller. I love his book Blue Like Jazz. I picked up this one because it was written by a guy I went to college with, and it has something to do with the book To Kill a Mockingbird. Win-Win. 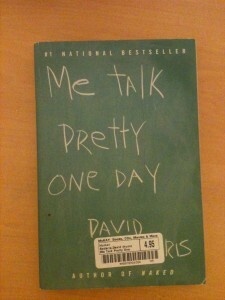 Because I shamefacedly admit I’ve never read anything by David Sedaris! 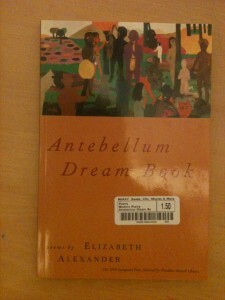 Book of poetry by Elizabeth Alexander, who read a poem at President Obama’s inauguration in 2009. 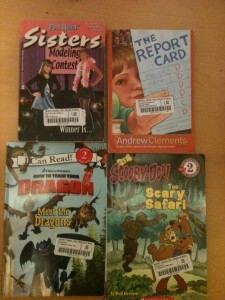 Books for the kids – the top left one is a Full House novel. I did not know such a thing existed. Madeleine loves Full House reruns, so I had to get this for her. I now have enough books to last me probably to the end of the school year. If I can finish them all by then. Needless to say, I was a happy girl by the end of this date! Oh, and Steven got 5 books and a Playstation game. Kudos to him for being slightly less nerdy that me. On our way home, though, he said, “I think I saw 4 or 5 couples in there like us. You know, having date night at McKays.” In other words, We’re cool. That brought back many memories of when I lived in the city (Vancouver, BC). I used to haunt the used bookstores (almost every day after work, to avoid rush hour traffic). Those were the days before the Internet really took off. I also used to love exotic restaurants. There was an Afghan Horseman restaurant where you sat on pillows with tables a foot or so off the floor. I also remember the Ethiopian restaurant, where they gave you rolls of Teff bread, and you were supposed to eat the food with your fingers (by grabbing it with pieces of the bread). 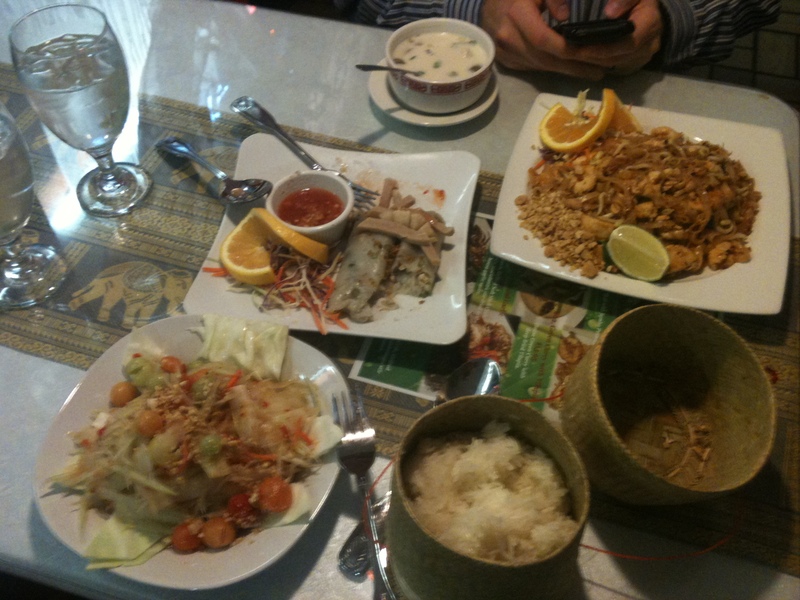 Being a vegetarian, I also frequented the Chinese Buddhist restaurants, of which there were quite a selection. Times change though. Today I mostly cook my own food from whole ingredients, trying to find combinations of simple, natural, yet tasty dishes. Having developed a corn allergy about 10 years ago, makes most restaurants into mine fields, so eating at home is safer! When I get more confidence in my cooking, I’m going to invite people over though, so it will be like a restaurant in my own home! Too bad you folks don’t live closer, I’m sure it would be a pleasure to serve you! I also sold off most of my collected books some years ago. A lot of them were poetry and theology. They served their purpose. Now I spend my time writing…trying to express the good I’ve soaked in, along with developing my own talents. 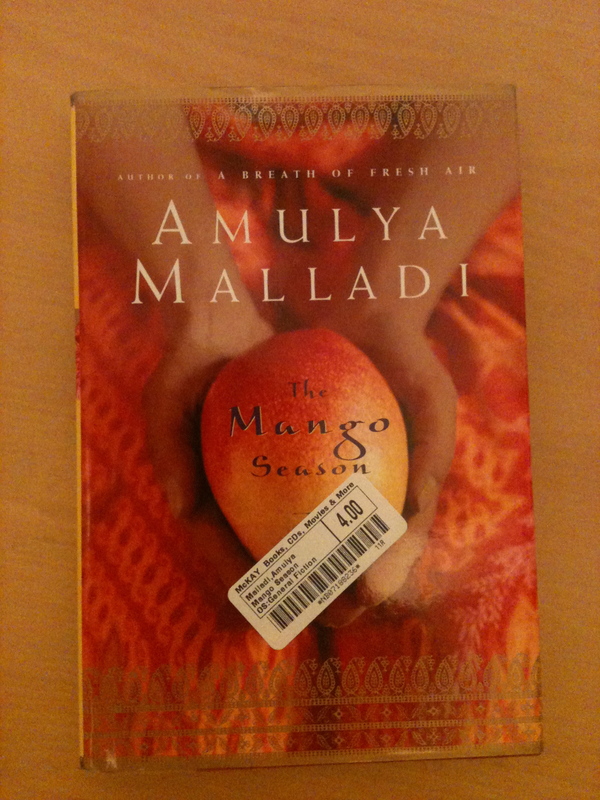 We live in a consumer-oriented society, so it’s important to sometimes cut this off and learn to produce! Also I like the thought of dying with few possessions. I’ve seen too many old people who just can’t let go and they live in cluttered houses. Jesus was a simple man, yet he accomplished so much. There’s a connection there. There’s a time for gathering and a time to scatter. P.S. Is someone “texting” in the restaurant?! ah dear!! bookstores are my Disneyland … but as your friend Frank said, there was a time I feel the need to live lighter and all those books that I had read in the past and that I hadn`t touched for years, what for? they were part of me, some of them changed my very self, others were just passtimes, all had served their purpose in my life so I selected those that I know I want to re read from time to time and gave the others to a friend of mine who has a daughter who is a heavy reader at the age of 9!!! now, when I buy a book and read it and feel that it has served its purpose, I pass it on to a friend or whoever is interested in reading, making that person promise to do the same and leave a brief comment at the back and ask to do the same. I have this dream that one day I`ll go to a second hand store and I`ll find my book with lots of comments from people who read it. Now I`m reading Irvin Yalom, have you heard of him?